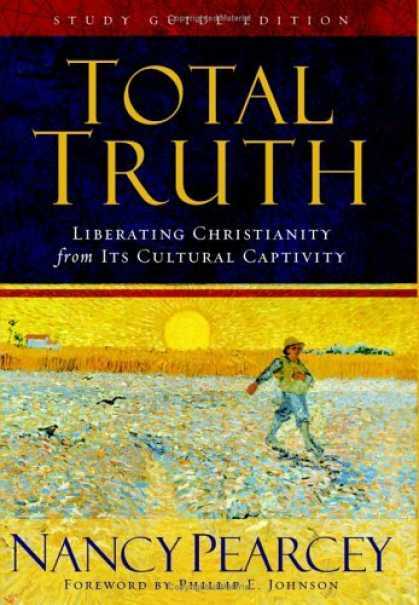 I was required to read excerpts from Nancy Pearcey’s Total Truth while in Bible college and have been meaning to pick it up and read it cover to cover ever since then. I recently did. And I must say that this book should be mandatory reading for every American Christian and anyone who has ever sought to debunk Christianity on “philosophical” or “scientific” grounds. I realize that’s a pretty bold suggestion. What could a book possibly say that would be so important for so many people to read? Pearcey traces the ideas throughout history that led to the way Americans approach religion and science. She clearly explains why Americans are so quick to use the phrase, “That’s true for you” in areas of belief, but then unyielding in discussing “facts” like evolutionary theory. She also shows why faith is not only marginalized today, but also ridiculed and disregarded as irrelevant in the secular sphere. This book is especially important for anyone who ascribes to a denomination or church background that came out of the First or Second Great Awakening in the early days of America. Pearcey describes the philosophical, political, socio-economic, and naturalistic ideologies that influenced the development of ideas, structure, and theology in traditions such as the Methodists, the Restoration Churches, the Southern Baptists, and the Evangelicals – both for good and for bad. Moreover, the responses – or lack thereof – of these church groups also had enormous impact not only on the philosophy that became foundational in American culture and politics, but also on the day-to-day life of men and women during the Industrial Age. You can buy the book on amazon here. If you live in my town, you can also borrow it from the local library. Or, if you promise to keep it in good condition, I’ll let you borrow my copy. Seriously. I want you to read this one. Lately I have been obsessed with all things Medieval. Not too long ago I read Umberto Eco’s The Name of the Rose – a multiple-murder mystery set in a medieval monastery. I think that may have been what ignited this sudden interest. 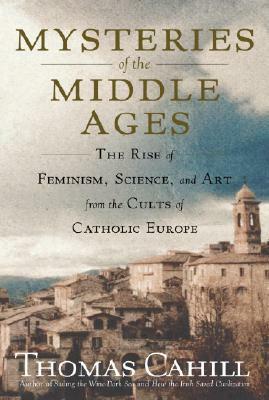 I have also enjoyed reading Thomas Cahill’s previous four “Hinges of History” books*, so I picked up his latest – number five in what is projected to be a series of seven – Mysteries of the Middle Ages and the Beginning of the Modern World. However, Cahill doesn’t pull punches when he has an opportunity to sensationalize. He strikes me as the kind of author who doesn’t let historical fact get in the way of a good story. I have no doubt he does his research and, as a resident of Rome, knows these places and stories behind them. However, I don’t think I would put stock in his particular telling of historical events. He’s also not afraid to interject political opinions that, quite frankly, I often did not find relevant to the story he told. (Somehow he was able to rant for a paragraph about President Bush in his section on the crusades.) He also approaches religion academically – that is, he appreciates how religious thought has shaped human history, but he’s very quick to criticize religious ideas. These are the reasons I gave him only 3 stars in my Reading List. Yet, as I mentioned earlier, I still love his writing. I devoured his first four books before this one, and I’m impatiently waiting for book six in his series which is, so far, 6 years in coming. *The previous four books are, in order: How the Irish Saved Civilization: The Untold Story of Ireland’s Heroic Role from the Fall of Rome to the Rise of Medieval Europe, The Gifts of the Jews: How a Tribe of Desert Nomads Changed the Way Everyone Thinks and Feels, Desire of the Everlasting Hills: The World Before and After Jesus, and Sailing the Wine Dark Sea: Why the Greeks Matter. 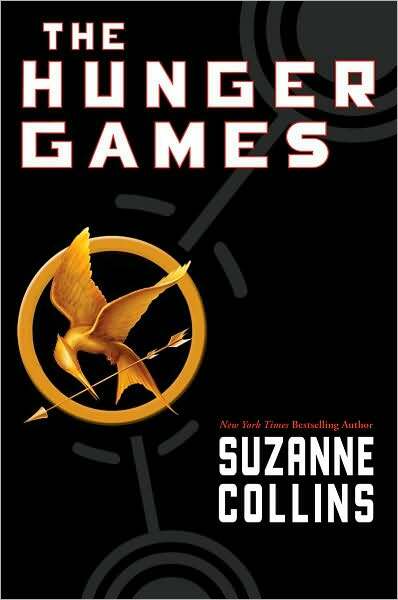 I finally got around to reading Suzanne Collins’ The Hunger Games. It took me a while to feel the interest. I’ve heard this book hyped up so much I was sure it couldn’t live up to all the ballyhoo. Add the cult-movie sensation projected to produce a $300 million box office by this Sunday, and just I knew it was going to be disappointing. (Wow… I think I’m a bit of a pessimist…?) Nevertheless, a friend of mine put the book in my hands and I flipped open the cover and dug in. I have to admit, for the first few chapters it seems like my predictions about the book were coming true. I just couldn’t see what the big deal was. I don’t particularly care for novels written in the first person either, as this one is. It’s often difficult to really find the character and ignore the voice of the author. But. I got to about chapter 5 and could not put this book down. My inhibitions in getting into this book fell away as Collins masterfully stepped to the background and let Katniss speak for herself. The pace, the impending feeling of doom, the slowing and then racing and then slowing pulse of the book makes for quite a suspenseful adventure. I could almost see and feel what Katniss saw and felt. I came to this book knowing it was a major sensation, but I had purposefully shielded myself from finding out anything at all about the characters and plot. I feel the experience was much better for it, and I will recommend the same for anyone else out there who hasn’t picked it up yet. It’s better to come and be surprised. In that vein, references to the plot in this post will be vague at best. I have many more thoughts about some of the specifics of the story and I would love to discuss them. Feel free to ask me in person or send me a message to respond to! I will also offer a big disclaimer. I would not recommend this book for young audiences. The major plot-line is distressing and some of the plot details are downright disturbing. Having said that, this book is incredibly entertaining and thought-provoking. The major thought that lingers with me after reading this book is, “How would I deal with something like this? If I lived in this society, and my name was drawn, what would I do? ?” It’s a haunting question. How much would my basic survival instinct take over? Would it be primarily fight or flight? Would I go mad? Would I try to hold to moral integrity? Or would life be more important to me in the moment? Would I even have any skills necessary to survive? Could I make it to the end? Or would I be taken out early on in the game? 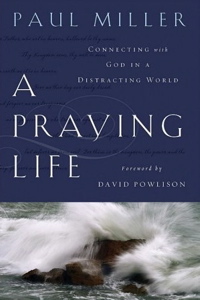 I recently finished A Praying Life by Paul Miller, and I was inspired enough to put up a quick post about it. My review of the book in two simple words? Read it. Okay, maybe three simple words: read it, please! Miller is incredibly authentic and transparent in his own life-long wrestling match with prayer. It was refreshing to read a book on prayer that didn’t leave me feeling guilty for not “praying better.” He is writing to Christians who have heard the sermons, read the passages, been to the Sunday school classes on prayer… essentially those who have been there, gotten the T-shirt… and umm…. still don’t really know how to pray. He shines light on that disconnect, not as a “wise and holy man who has the perfect answer,” but as a humble servant of Christ sharing what the Spirit has taught him over several years of struggle with this very thing. And that’s only in the 2nd chapter! I learned so much from him: my personal weaknesses that have become barriers, practical ways even just to remember to pray, and useful tools to keep from being overwhelmed by the infamous “prayer list.” And most importantly, he pointed me back to Jesus time and time again, reigniting the passion and love I have for Him.